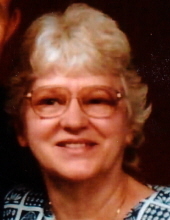 ALEXANDRIA, IN – Barbara F. (Fisher) Sigler, 86, passed away on Tuesday, January 15, 2019 at Community Hospital in Anderson following a brief illness. She was born in Alexandria, on June 5, 1932 to Edmund and Lois (Richardson) Fisher and has lived here all of her lifetime. Barb was a graduate of Alexandria High School-Class of 1951. She worked in the cafeteria of the Alexandria Community School Corporation for 20 years, retiring in 1997. She was a long time and active member of St. Mary’s Catholic Church in Alexandria where she also belonged to the Daughters of Isabella. A Mass of Christian Burial will take place at 7:30 pm on Thursday, January 17, 2019 in St. Mary’s Catholic Church, 820 West Madison Street, Alexandria with Father Dan Duff as Celebrant. Friends and family are invited to a visitation prior to the Mass beginning at 4 pm in Owens Funeral Home, 412 North Harrison Street, Alexandria. The procession to the church will leave the funeral home at 7:15 pm on Thursday. A public graveside service will take place at 9 am on Friday, January 18, 2019 at Park View Cemetery in Alexandria. Memorial contributions are suggested to Riley Children’s Hospital with envelopes available at the funeral home. Owens Funeral Home is honored to care for Barb and serve the Sigler/Fisher family. To send flowers or a remembrance gift to the family of Barbara F. (Fisher) Sigler, please visit our Tribute Store. "Email Address" would like to share the life celebration of Barbara F. (Fisher) Sigler. Click on the "link" to go to share a favorite memory or leave a condolence message for the family.